As the new year approaches, many among us vow to change our eating habits. We promise ourselves that this will be the year that we get our health (and eating) on track. As time goes by, however, our good intentions slip away, often unnoticed. Now this drop off in our resolutions can be for a number of reasons but I suspect one of the main ones is that many people try to change too much at once. While it is admirable to make changes, trying to change to much at one time is overwhelming. It’s like carrying ten balls at once - your arms are too full. You can’t see your feet and with one stumble you drop all the balls. The odds are stacked against you. However, if you are only carrying one ball at a time, you can easily manage to carry it from point A to point B. It’s way easier to make multiple trips carrying one ball each time than attempting ten balls at once. What does this all mean, you ask? Time to change your mindset. The road to healthy eating is a journey, taken one meal and bite at a time. 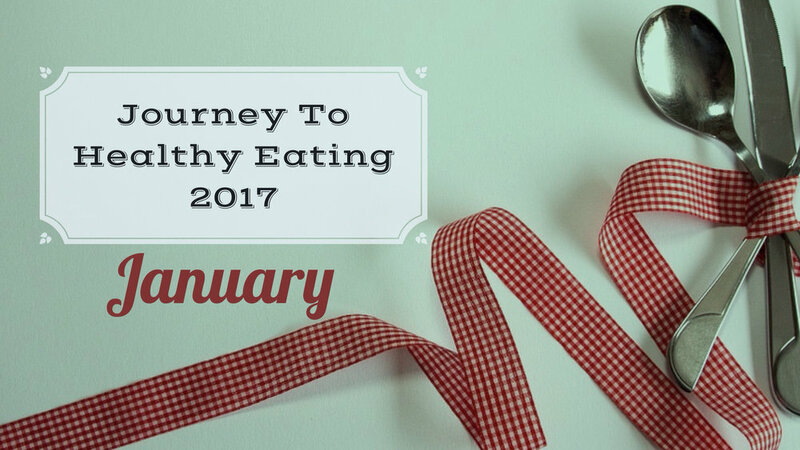 This is my suggestion to you for this year, follow along with me in the Journey to Healthy Eating Challenge. Change your mindset when it comes to healthy eating, one bite at a time. Commit to making small, healthy eating changes all year long. More specifically, focus on one healthy food goal each month. Take the month to master it, then move on to the next healthy food habit. If you make small changes bit by bit, you’ll find that eating better doesn’t need to be a complicated and it can actually be attainable. You may even find the whole process enjoyable (gasp!). Healthy eating habits, just like poor ones, don’t happen overnight. Let’s work together to make sustainable changes. It is said that habits form after attempting them numerous times. So why then do we overwhelm ourselves by trying to start too many new behaviors at once? Let’s set ourselves up to succeed. Try the Journey to Healthy Eating Challenge to make healthy changes bit by bit with the goal that by the end of 12 months, you’ll not only be eating better but your new healthy eating habits will be second nature. Make ½ your plate veggies. Sounds pretty simple, doesn’t it? This month I want you to load up on vegetables. Make lunch and dinner veggie-licous (and if you want to add a few veggies at breakfast, go for it). Rather than worrying about measuring portion size (who has time for that? ), just make sure that your lunch and dinner plates are 50% veggies. Got a soup or casserole? Make sure each spoon or forkful is about half veggies. Most people don’t eat enough vegetables. Surveys show over and over again that people just aren’t eating enough vegetables. And this is a problem because diets low in vegetable are associated with higher rates of chronic disease, poor blood sugar control and less healthy body weight. So, let’s start this challenge off right by eating our veggies. I promise you’ll feel amazing if you get your veggie intake up! Make sure ½ your plate at lunch and dinner consists of vegetables. Aim for at least two different vegetables at each meal. Try an assortment of fresh or frozen vegetables (yes, frozen vegetables are okay!). Add a side salad to low-veggie meals (tip: make a big salad and have it for several meals). Load pasta and soups with lots of fresh or frozen vegetables. Cook more veggies than you need so they can be enjoyed for subsequent meals. Try adding pureed vegetables to pasta sauces. Keep ready-to-eat veggies at your disposal, like cherry tomatoes, cucumbers, cut up broccoli and cauliflower, baby carrots and snow peas. Buy and prepare a new vegetable each week. Variety is the spice of life, right? Too many times we stick to what we know and get in a veggie buying rut. I challenge you to try out a new veggie each week in January. Who knows, maybe you’ll find a new favourite! Are you following along with this challenge? Tag your photos on social media with #JourneyToHealthyEating.